This entry was posted on July 18, 2012 by Russell Smith. 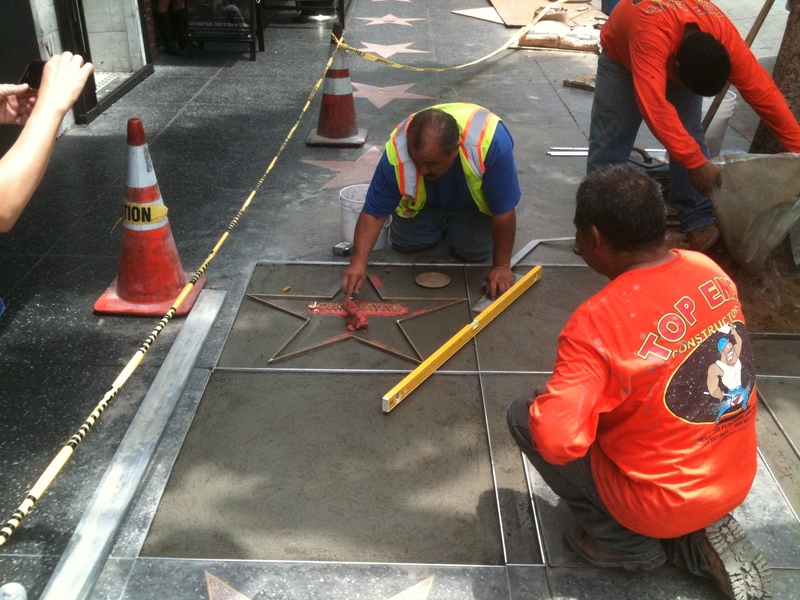 It was filed under Street, Urban and was tagged with construction, Hollywood Blvd, Russell Smith, sidewalk, Walk of Fame, Walk of Stars. love this! u know I ‘m partial to any images that expose the unseen “hollyrock” good or bad, preferably scandalous! I did not know that. I thought they crated them in already made. Thanks for this revelation! Very interesting. I guess I thought the stars were cut stone of some sort. All of my fantasies have been destroyed! The stars are just made out of some weird concrete! Sigh!